MCRM has generously been awarded a grant from the John H. Emery Rail Heritage Trust for the museum’s Delaware, Lackawanna & Western No. 595 coach car. 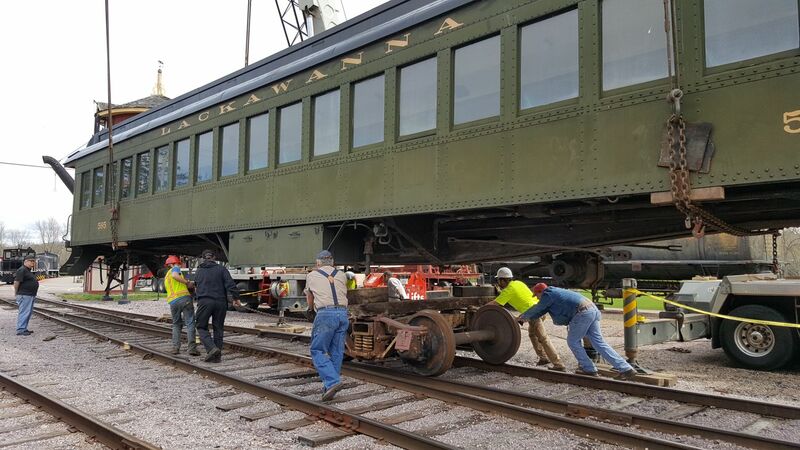 The Trust recently announced the car is receiving a $10,000 matching grant toward rebuilding the trucks on which the historic 1915 coach rides. 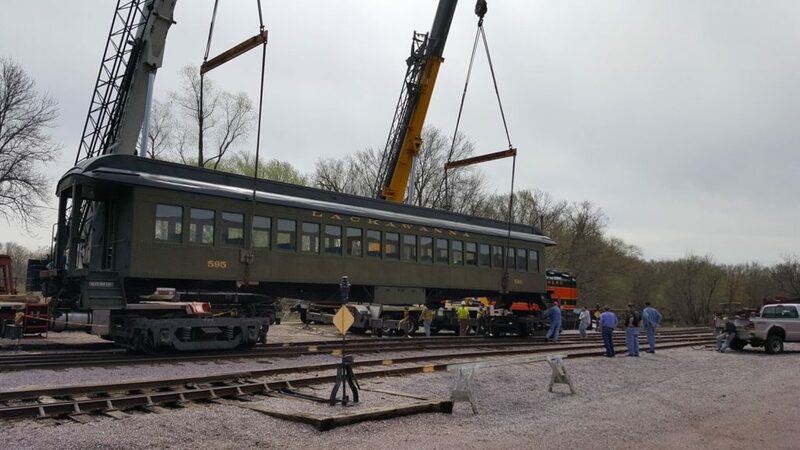 The rebuild is being completed as part of a major rehabilitation program of Mid-Continent’s four Lackawanna coach cars, the backbone of the museum’s operating fleet. DL&W Nos. 425 and 557 have already gone through the truck rebuilding program and No. 563 will follow. 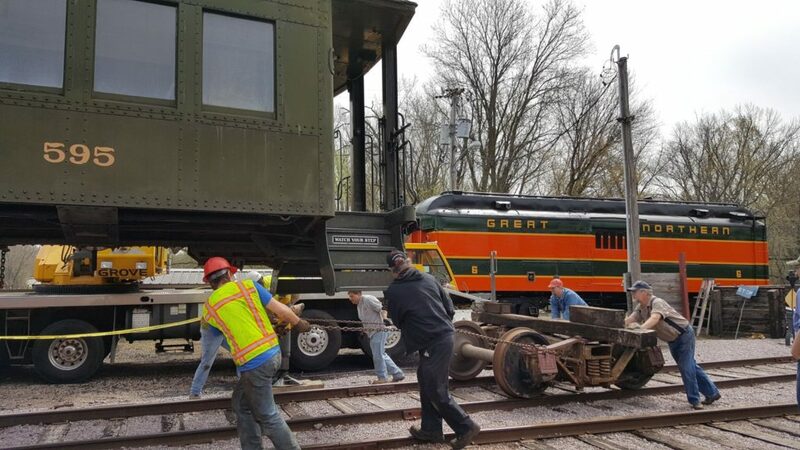 The cars have faithfully served the museum for decades, but wear and tear have finally caught up with them, necessitating substantial truck overhauls. As a dollar-for-dollar matching grant, Mid-Continent must receive $10,000 in donations toward DL&W No 595 by no later than March 31, 2017. To ensure Mid-Continent is able to make full use of the grant, please consider making a donation. The Emery Rail Heritage Trust previously awarded Mid-Continent $10,000 toward the Chicago & North Western No. 1385’s boiler during the Trust’s inaugural series of grants awarded in August 2015. The Emery Rail Heritage Trust was established in Paola, Kans. by the late John H. Emery. John was a long time Chicago resident, but had deep family ties in Paola. He was an avid rail enthusiast who loved to ride trains around the world, and wanted to help preserve rail equipment and infrastructure that will allow future generations to share his experiences during what he considered the “Golden Age” of railroads, from 1920 – 1960. Crane company crew and MCRM volunteers join forces to remove a truck from under DL&W 595. A pair of cranes hoist DL&W 595 in the air to facilitate the removal of its trucks. Rolling temporary shop trucks under DL&W No. 595. Make your donation via mail using our printable donation form or donate online using the form on our Donation page. Be sure to write in “D&LW 595 Matching Grant” on both the printed and online forms. Credit/debit card donations can be accepted by phone at 608-522-4261 or 800-930-1385 during museum office hours. All donations are tax-deductible. Thank you to the donors who helped us reach the $10,000 goal. 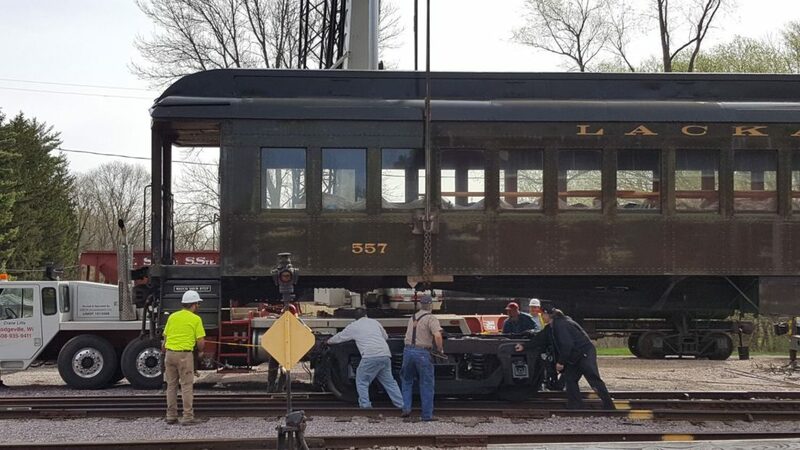 Your donations together with the John Emery Rail Heritage Trust have combined to raise over $20,000 towards the D&LW #595.